Vous souhaitez poser une question à l'établissement Phu Pha Phung Resort ? 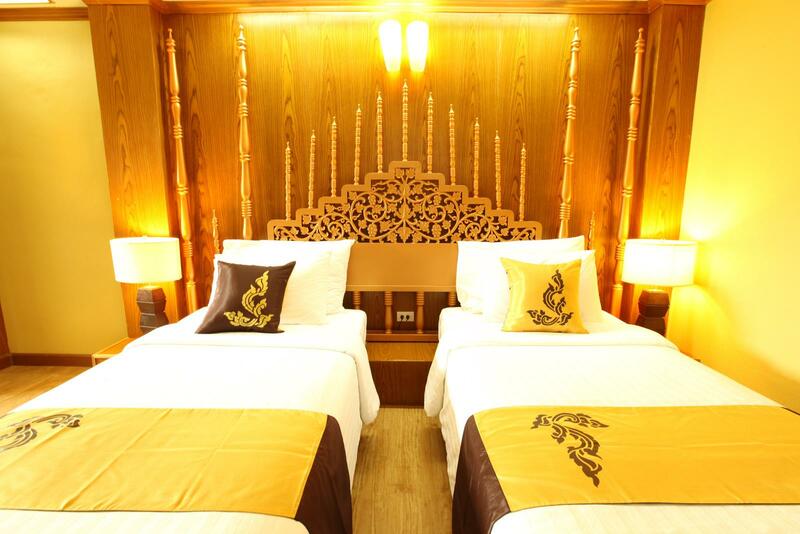 Il n'y a pas mieux, pour profiter pleinement de l'ambiance de Ratchaburi, que le Phu Pha Phung Resort. De là, les clients peuvent facilement se déplacer et profiter de tous les avantages offerts par cette ville dynamique. Havre de sérénité et de détente, l'établissement permet au hôtes de se ressourcer à seulement quelques pas des nombreux centres d'intérêt de la ville tels que Ferme ovine Newland, Baan Hom Tien Suan Phung, Veneto Suanphueng. Profitez d'une multiplicité de services et d'équipements incomparables dans cet établissement de Ratchaburi. Pour ne nommer que quelques-uns des équipements de l'établissement, citons WiFi gratuit dans toutes les chambres, réception 24h/24, parking, service en chambre, restaurant. Toutes les chambres disposent d'équipements assurant un niveau de confort sans égal. Grâce au vaste éventail de loisirs proposé par l'hôtel, les hôtes ne manqueront pas d'activités durant leur séjour. Grâce à un emplacement exceptionnel et des équipements hors pair, le Phu Pha Phung Resort vise juste sur tous les points. 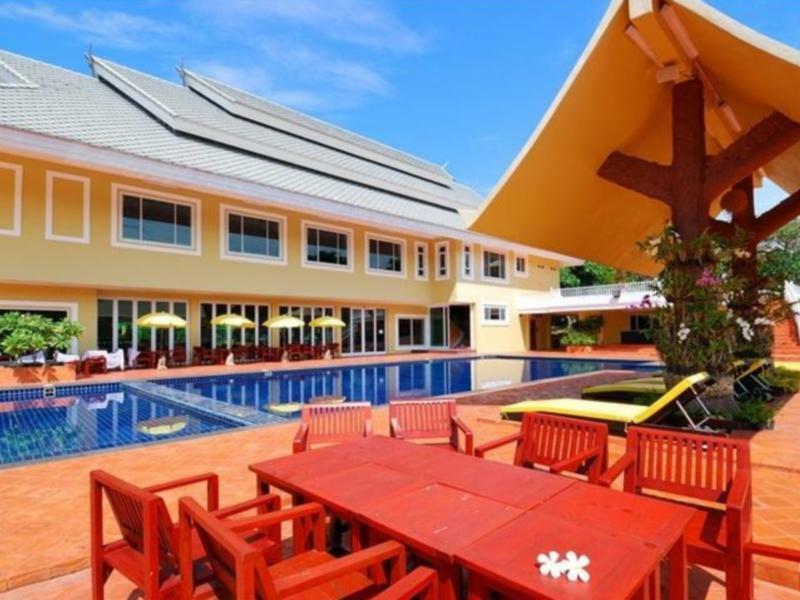 Phu Pha Pheung Resort is a good relaxing place with good envirolment in surrounding area.But for convenience to travel around the nearby attractions you need to rent a car to enjoy the trips and delicious foods here. The room furnished with wooden furniture, looks old some more with dim yellow light make me felt creepy. Most unpleasant is the bathroom smell badly with drainage once enter. The shower area is missing 1 glass panel so water all flow out, make the whole bathroom wet. Next day found a worm crawling in the bathroom....yeaks!!! My room is so far away like golf coarse area till need buggy service to move in and out so very inconvenient. After check in, found no dryer in the room. No staff station in reception for your enquiry. All the staffs are friendly but they do not speak simple English so we need to use body language well to make them understand. In years, we have rotated between hotels in this vicinity, we find that this hotel is preferable for a low price range. We usually travel at night and need a bed to stay so we can start fresh in the next day. This hotel is the most suitable one in our experiences. You get the most out of the price you pay. A decent room, cleanliness is acceptable, good but not that great breakfast. All in all, it's the bang for the buck hotel in our opinion. The hotel is located at a very strategic place. It is easily acess to all the attraction points. The room is quite clean, the air-cond is cold but unfortunately the bathroom has bad smell. The hotel is zero service, and lack of maintenance. The breakfast is basic but Ok. The swimming pool is quite old but still ok. The compound of the hotel is quite big, the view is quite beautiful. The place seems like not enough of man power to maintain. Convenient location, in the center of Suan Phung. 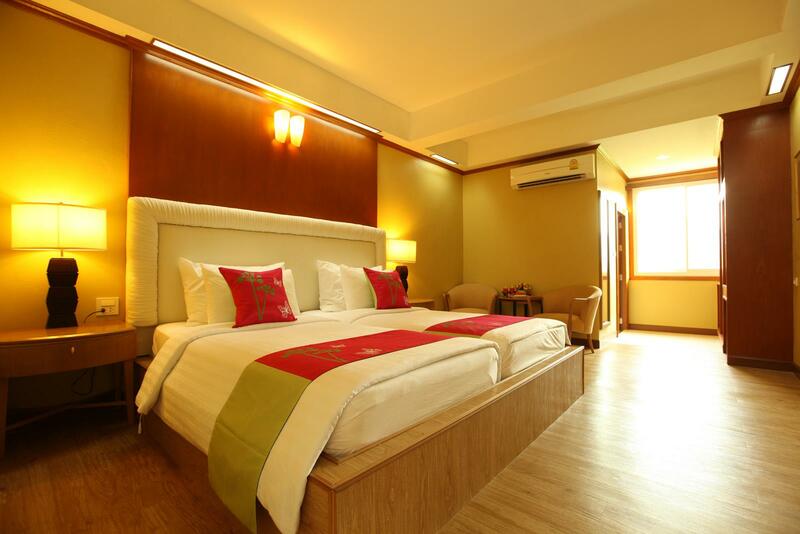 Reasonable room price include breakfast and free wifi. Large room include amenties eg. air condition, TV, refridgerator, sofa bed. Swimming pool, free boat ride with beautiful mountain view. For a remote hideaway, this place is fantastic. It was very clean, set in a huge private complex with some beautiful scenery. Very quiet & food was included, which for the price we paid i couldn’t believe what great value it was. - The bathroom is very smelly and dirty. - Water drop from air-con over the dinning tables. Need to fix it or re-lay out the tables. - Loud cleaning/maintenance noise. Difficult to rest quietly. - Insufficient parking lot. We stayed there for 3 nights. One 2 nights, we were the only family there and we had the whole hotel for ourselves! The swimming pool was clean and great. The breakfast was unhurried and abundant. We could take a long stroll in the evening on the hotel's compound. Nice comfortable room, a little walk from the main road. There was no evening restaurant available (low season?) but there's a 7-11 around a 5-minute walk from the hotel, just outside the main gate. Howling dogs at night were a bit irritating, but that seems to be the area. Buffet breakfast was acceptable without being exceptionable (instant coffee? ), though there was hardly anyone there when I stayed. On the agoda, it shows the room has bathtub, but when we were there, a staff said there was no tub in our room and asked to go back to check with the agoda. The staff also said the room was booked in very low price, so it couldn’t have the tub. It was the deal and I was happy to pay extra for a room with bathtub. However, the staff was not helpful at all. I enjoy the trip. The hotel is very big in room size and very easy to find. Good swimming pool. Fantastic! Best room- enough to sleep at least six people.